Celebrate the season when you don't have to worry about mosquitoes! 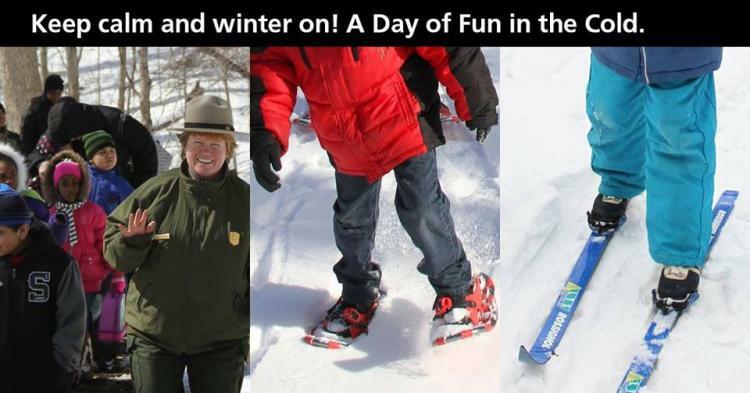 Join park staff and partners for a variety of hikes, cross-country skiing, snowshoeing, and more. Fun will be had by all--with or without snow. We will be hosting a wide variety of indoor and outdoor activities at the Indiana Dunes Visitor Center, the Paul H Douglas Center for Environmental Education, and throughout the park. The Indiana Dunes Visitor Center is located at 1215 North State Road 49, about one mile north of Interstate 94, in Porter, Indiana. The Paul H. Douglas Center for Environmental Education is located in the western portion of the national lakeshore at 100 North Lake Street, about one mile north of U.S. Highway 12 in the Miller section of Gary.